With a population of over 23 million people, Shanghai, China is the most populous and most developed city in China. 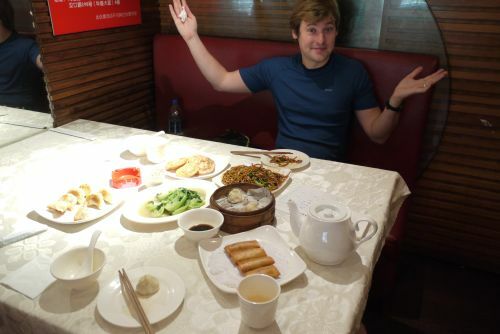 Arriving without expectations, Shanghai quickly became one of my new favorite large cities of the world. 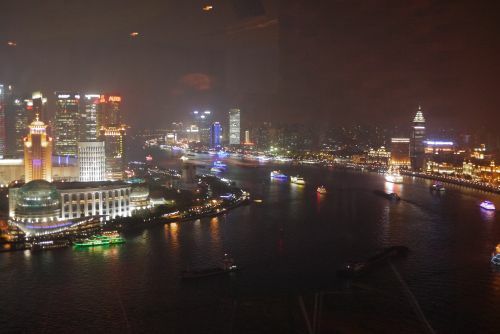 The Huangpu River divides the city into two major districts, Puxi, west of the river and Pudong, east of the river. 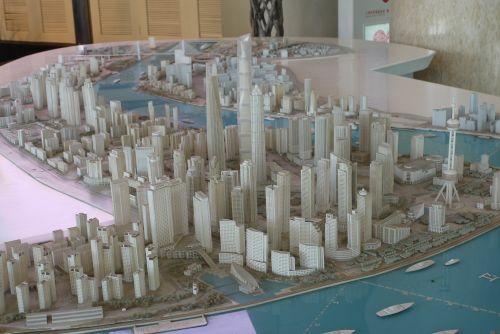 Pudong is the more newly developed skyscraper-laden financial district. A large commercial district is also built around the river on the East bank. The city is sprawling in all directions and this area is continuing to grow rapidly. We spent the majority of our time on the West side Puxi area. 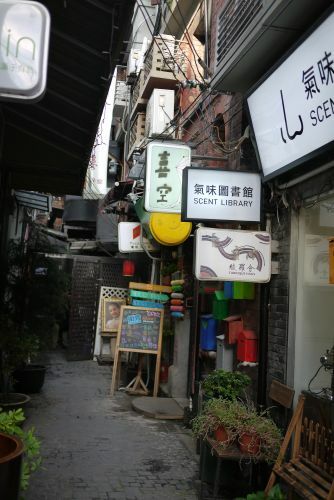 Puxi is made up of multiple neighborhoods each with their own flare and history. Each day we walked different districts and frequently stumbled on interesting streets to explore slowly. Huangpu is the traditional center of Shanghai. This area is home to People’s Square, a large public square and park. The government’s central headquarters building is located here and there are major transportation lines crossing in this area. The Square is adjacent to Nanjing Road, the primary pedestrian shopping street of the city. 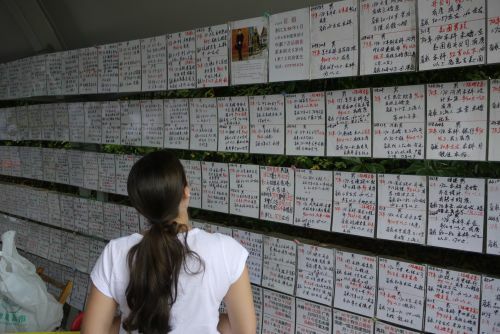 Quite interesting to us was the corner of People’s Park that is used for “zhenghun” or marriage seeding. 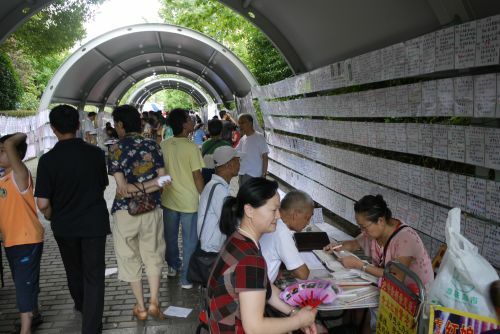 Every Saturday hundreds of people, primarily mothers and grandparents, show up and post a form of a personal want ad to solicit suitable marriage partners for their children. The ads include things like birth year, height, weight and geographic location. The Old City, Nanshi is home to Yu Garden. This elaborate Chinese garden was constructed during the Ming Dynasty and is a well-preserved treasure in the midst of Shanghai. There are water features and rock structures amid the wooden walkways and pavilions. Throughout the Old City neighborhood much of the ancient wooden traditional Chinese architecture still remains intact. Walking through this part of town quickly transports your mind to another era of life in China. The French Concession district, once known as the Paris of the East, was one of my favorite districts. The streets are tree lined and some of the architecture remains French in style. Best of all this area is a mecca for good food. The pace of life on the streets felt a bit more relaxed and although still congested, it somehow seemed quaint. We found ourselves in this district multiple nights enjoying the cuisine and strolling the sidewalks. 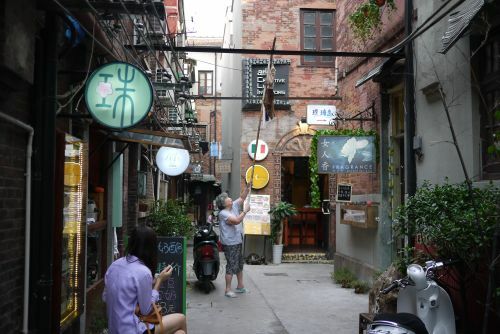 One of the most stimulating areas of town is Taikang Lu, an arts district that has developed in an old renovated residential area. This neighborhood is made of pedestrian only alleyways all connecting in a maze of creative energy. Trendy art studios, coffee shops and craft shops are on every street. 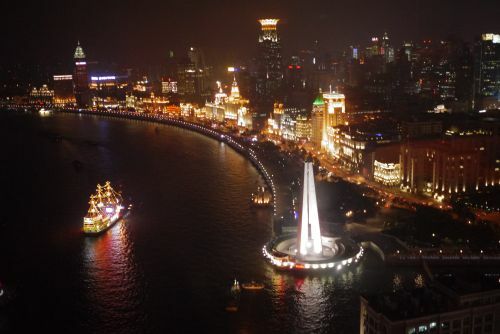 Finally, The Bund- this famous stretch of riverfront real estate is centered on a section of Zhongshan Road along the western bank of the River. The Bund is home to 52 notable buildings of colonial styles including Romanesque, Gothic, Renaissance, Baroque, Neo-Classical, and Art Deco. This historical piece of Shanghai is well preserved and often praised as the most prestigious location in Shanghai. Along the water, across the street from the famous buildings, there is a large pedestrian walking area that was bustling with people day and night. The Bund easily felt like the heart of Shanghai as locals and tourists alike gathered here to enjoy the spirit of the city. Was there in ’84 – sleepy with no skyscrapers; the new town had not been created. Back in ’99 – transformed; spires rising across the river, but still not many if any skyscrapers in the old town. Wouldn’t recognize it today! Friends who live there half the year love it. With 23M people, I think most of the food still comes from about a 100-mile radius. Glad you are or have enjoyed. China is amazing. 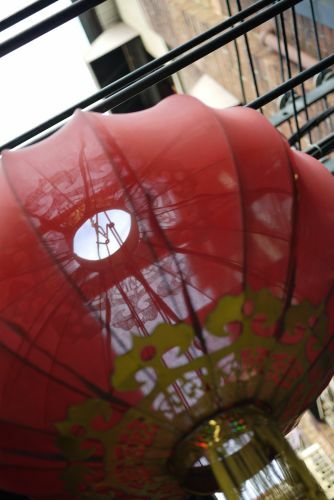 I understand from a good Chinese friend that there are many demonstrations around the country now re the environment. Good thing. In ’99 the air quality was abysmal. Have you noticed how China flows? The overall energy is like that of a school of fish swimming upstream. Here in the U.S., our energy is more like a hot electrical wire that has started to burn and is sputtering. You’ll notice it as soon as you touch down at a US airport.